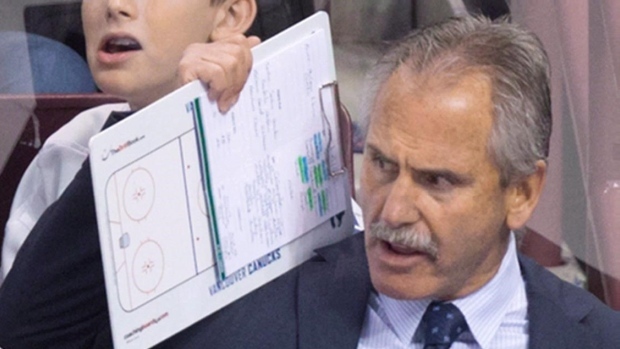 Willie Desjardins was named the Kings' interim head coach by general manager Rob Blake. Los Angeles also fired assistant coach Don Nachbaur and hired former Kings forward Marco Sturm to replace him on Desjardins' staff. The Kings beat Columbus 4-1 on Saturday in Stevens' final game in charge, but Blake decided to make his second coaching change in 19 months after LA's terrible start. "This is a critical time in our season, and our results to date have fallen well below our expectations," Blake said in a statement. "With that in mind, this was a difficult decision, but one we feel was necessary. We have a great deal of respect and appreciation for John's time with our organization. He was a key part of our past success, and we have tremendous gratitude for his many contributions." Stevens took over in 2017 after seven years as an assistant in Los Angeles under Terry Murray and Darryl Sutter. The former Philadelphia Flyers head coach was an assistant on the Kings' Stanley Cup-winning teams in 2012 and 2014. Stevens' promotion was an attempt to create a new mentality for the Kings while maintaining some continuity to Sutter, whose grinding style of hockey won the only two Stanley Cup titles in franchise history. Sutter's coaching and former general manager Dean Lombardi's clever moves won two championships, but also left the Kings with a relatively slow, veteran-laden roster that struggled to compete consistently in the speed-based NHL after 2014. The results of Stevens' tenure had been mixed: The Kings went 45-29-8 in Stevens' debut last season, finishing fourth in the Pacific Division and getting swept by Vegas in the first round of the playoffs. Los Angeles got off to its awful start this season while playing largely without goalie Jonathan Quick and forward Dustin Brown, who were both out with injuries for long stretches. The Kings still have a wealth of top-end NHL talent including Hart Trophy finalist Anze Kopitar, Norris Trophy-winning defenceman Drew Doughty and high-scoring forward Jeff Carter. But their farm system's inability to produce above-average players in recent years has dramatically thinned their depth and competitiveness. Desjardins was the Vancouver Canucks' head coach from 2014-17, missing the playoffs in two of his three seasons. He then coached the Canadian men's national team to bronze medals at the Pyeongchang Olympics last February. Sturm had a 14-year NHL playing career ending in 2012. He had been the head coach of the German national team since 2015, leading his nation to a silver medal in Pyeongchang.